It's OK to be all over the map so long as you know the territory. That's the main thing that Canadian quartet the Sadies have going for them. Guitarist-vocalists Dallas and Travis Good, along with bassist Sean Dean and drummer Mike Belitsky can't seem to decide whether they want to be an alt-country group, a '60s-style garage-punk band, a bluegrass outfit, or a surf-instrumental combo. Nor should they have to, since they seem comfortable playing in just about any genre. TRACKS:Northumberland West-Translucent Sparrow-1000 Cities Falling (Part 1)-Song of the Chief Musician (Part 2)-The Curdled Journey-Why Be So Curious? (Part 3)-The Iceberg-A Good Flying Day-Only You And Your Eyes-As Much As Such-A Burning Snowman-Coming Back-Why Would Anybody Live Here? 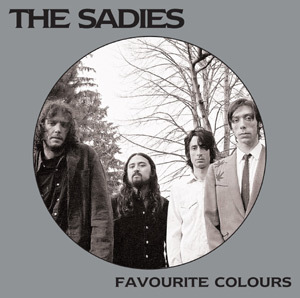 Favourite Colours is the album the Sadies have been moving towards with each release – an album that establishes them not just as instrumentalists but as songwriters able to evoke their various influences and combine them into something unmistakably their own. Longtime fans will notice there are more vocals and a greater emphasis on the brotherly harmonies of Travis and Dallas Good, whose voices slightly world-weary, grittily beautiful – blend just right in the grand brotherly tradition of pop music. Canada's favourite whacked-out six-string mayhemists are back with a soundscape for the space cowboy set. The Sadies made their fourth album and Outside Music debut, Stories Often Told, after spending the past year and a half criss-crossing North America on tour, headlining their own shows and sharing stages with artists including Neko Case, Blue Rodeo, and Beachwood Sparks. And when listening to these tunes one could envision the band on the road carrying steamer trunks full of martini glasses and discount wines, saddlebags stuffed with Byrds and Stanley Brothers records, and surfboards strapped to the roof. Spooky campfire wails, dusty western trails, lounge time cool downs, and psych adventures all knock heads on their latest tremendous effort. The aural equivalent of a van stuffed with saddles, surfboards, and Kinks records. Spooky campfire wails, dusty western trails, garage-punk rave-ups, lounge-time cool downs, and bluegrass ridgerunning all knock heads on this dandy CD. 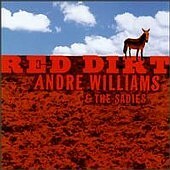 "Pure Diamond Gold" emerges hot on the heels of The Sadies' European blitzkrieg as the backing band for R&B wildman Andre Williams-, their Bloodshot CD "Red Dirt" was released this past May. They've also backed our favorite hoedown diva Neko Case on several sweeping tours, as well as on two Bloodshot singles. If the film Fistful Of Dollars was created today, the spaghetti Western sounding Sadies might be the perfect band to provide the soundtrack music. The band's debut, Precious Moments (produced by Steve Albini), is given its giddy-up by fat, echoing hollow body guitars courtesy of Dallas and Travis Good and some white-hot, rubber-melting rhythms. Like a classic muscle car with a massive set of steer horns strapped to the hood, the Sadies peel through 20 songs in 40 minutes and leave a rising cloud of dust and tumbleweed in its wake. Detroit's Andre Williams is one of the last crazy rhythm and blues singers still around. His performances can make peoples pants get swampy and peel the paint off the wall. His 1998 album Silky was the best release of the year, a mix of punk energy, primitive sounds and a dirty mind. His latest release is called Red Dirt, and it pairs him with a group called the Sadies, a country and blues band from Canada. Instead of the raucous rocknroll of Silky, Williams takes a more relaxed, slightly less frenetic approach on Red Dirt, although there are more than a couple rock & roll tunes interspersed here. 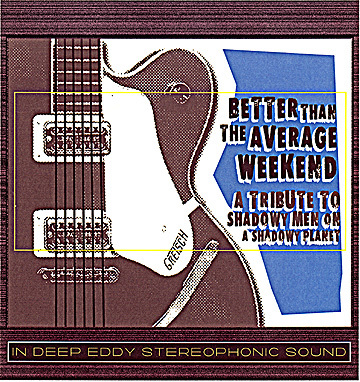 "Better Than the Average Weekend: A Tribute to Shadowy Men on a Shadowy Planet" (Deep Eddie Records). This cd is due out in December or early January and will feature many talented musicians. The Sadies have contributed the following song: "Algoma Reflections". For a list of tracks and musicians, click on the cd cover.